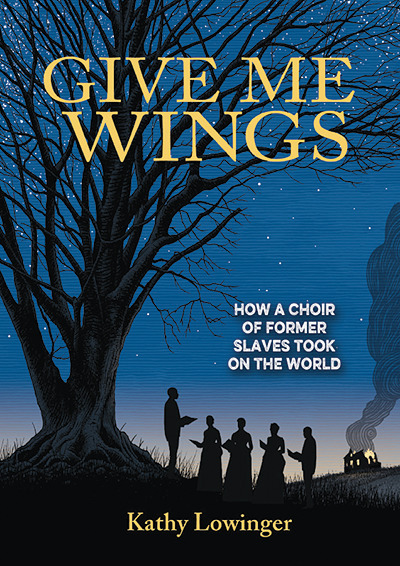 This beautiful hardcover work centres on the life of Ella Sheppard, a former slave from Tennessee, who became a teacher and world famous singer with the Jubilee choir in the late 1800s. Author Kathy Lowinger has crafted an informative account of Ella’s life, which is supplemented by maps, illustrations and sidebars that offer background information on a plethora of topics from the Nat Turner rebellion to minstrel shows (there is even a little Canadian content as Lowinger somehow tracked down a cartoon from the 1881 Toronto Grip showing the Jubilees being barred entry to a hotel in that city). From 1870 to 1878 the choir toured throughout North America and went on to sing in Britain, Australasia and China, bringing gospel music (which has served as a basis for blues, jazz, and rock and roll) to the wider world. Classroom Connections: This well-written historical work includes a time line, suggestions for further readings and a comprehensive index. It is also a lavishly illustrated book (there are 138 illustration credits from dozens of archives and special collections) that constitute a treasure-trove of potential primary sources which intermediate and high school aged students can analyze. The recurring topics dealt with throughout, including racism, prejudice and sexism, are as pertinent today as they were in the immediate post-Civil War era. This review is from Canadian Teacher Magazine’s Jan/Feb 2017 issue.